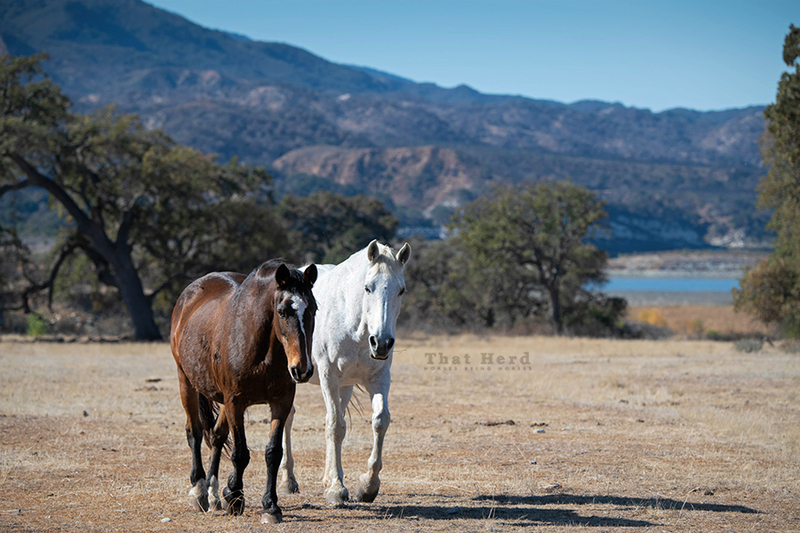 Every year, without fail, this grey mare befriends the oldest mares in the herd. There becomes one individual that she is with constantly. This year, it is this brown mare. In the past, she has outlived some of her friends. Because she is only a middle age mare, it is certain that she will outlive her other chosen few. This creates a sadness, but acceptance is always in our days, horse or human. This grey mare, half their age, is fond of the oldest mares in the herd.